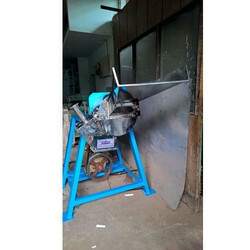 We are a leading Manufacturer of grain polisher machine, pulverizer herbal grinder machine, amla seed remover machine, agitator mixer, garlic ginger grinding machine and groundnut skin remover from Coimbatore, India. 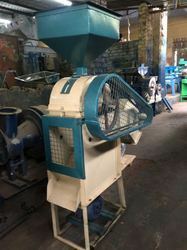 We are offering Grain Polisher Machine to our clients. Retain the grains' natural shine and nutritional elements. Can be operated for long working hours. Low noise, high speed and accuracy. Ensure no pollution and wasteage. We are offering Pulverizer Herbal Grinder Machine to our clients. 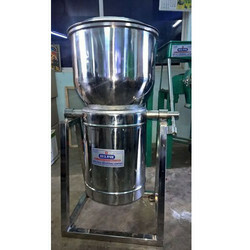 We are a notable manufacturer, supplier and exporter oAmla Seed Remover Machine, which is used to remove the seeds from Amla. Amla is an edible fruit that is used for preparing pickles, juices and other products. It also has several medicinal properties and so utilized for manufacturing different kinds of medicines. Due to these factors, the demand for Amla and our Amla Seed Remover is growing tremendously. 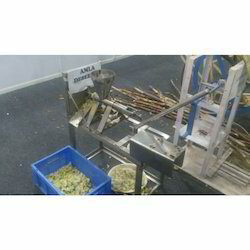 Our equipment removes all the seeds without losing the nutritional value of Amla. It is made of good quality stainless steel, which deters the blackening of the device. Moreover, it is durable and cost-effective. Only one person is needed to handle and operate the equipment. Removes all seeds effectively and at fast pace. Ensure hassle-free performance and rust resistance Made of the advanced technologies and wear resistant raw materials. Easy to handle, operate and need less maintenance. Used in the industries like agricultural, cosmetics and pharmaceuticals. We are offering Agitator Mixer to our clients. 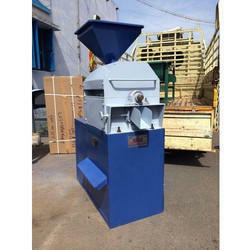 We are offering Garlic Ginger Grinding Machine to our clients. We are offering Groundnut Skin Remover to our clients. We are offering Selvin Commercial Mixies to our clients.